Do You Need to Connect to SQL Anywhere 16 from OpenOffice 4.0? Sybase Central 16 is a very nice interface and I never encountered any problem from its earliest version (I jumped in at version 9, may be). 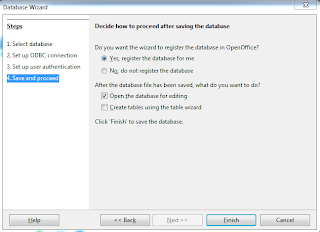 However, if you want to connect to a database and create tables; run queries; create views; create forms and reports you can use OpenOffice 4.0 which is very simple to use. 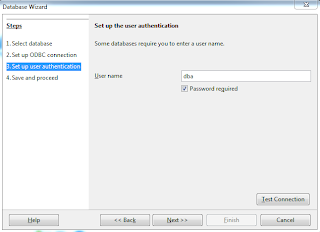 When you install SQL Anywhere 16 it comes with a 'demo' database and incidentally this has not changed from the earliest version to which I was exposed. 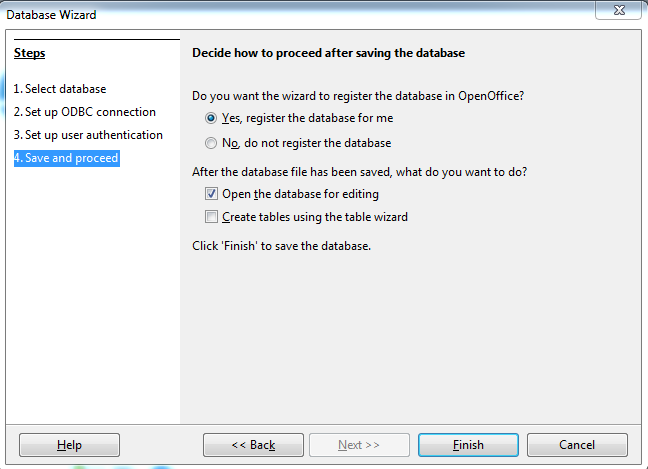 Now launch OpenOffice 4.0 from its shortcut on the desktop and click Database as in the earlier post. You are already in Step 1. 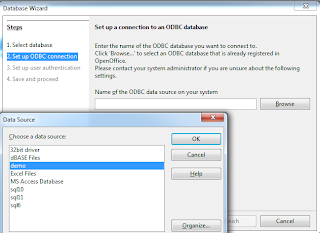 In Step 2 select the demo ODBC connection and click OK. 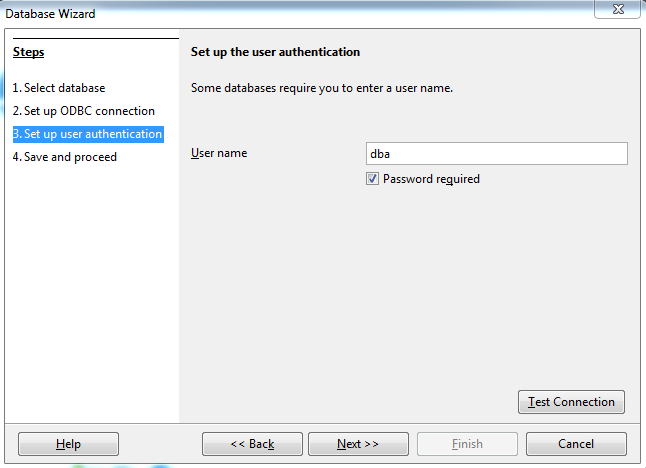 In Step 3 provide 'dba' as username. 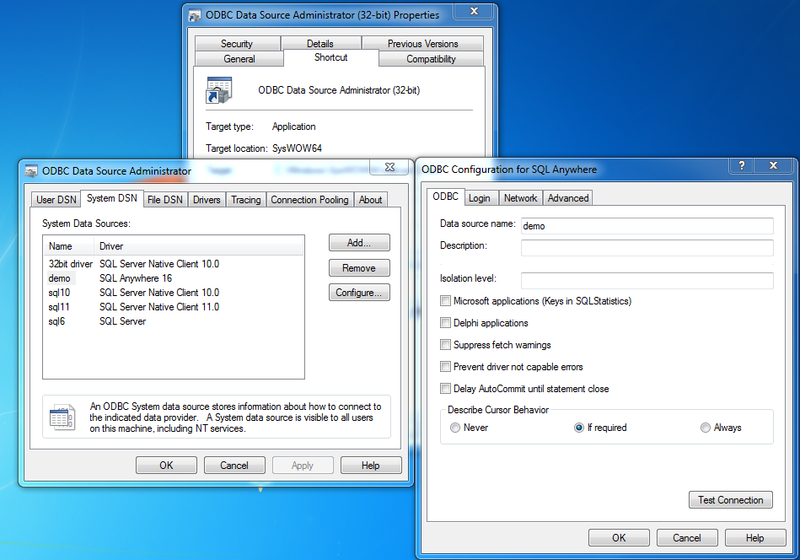 Click Test Connection. 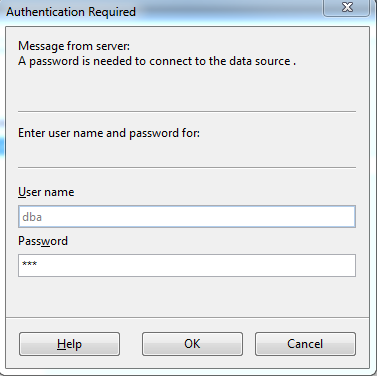 Provide 'sql' as the password. You will see that you easily get connected. In Step 4, save and proceed. For this example it was saved as SAP16.odf. 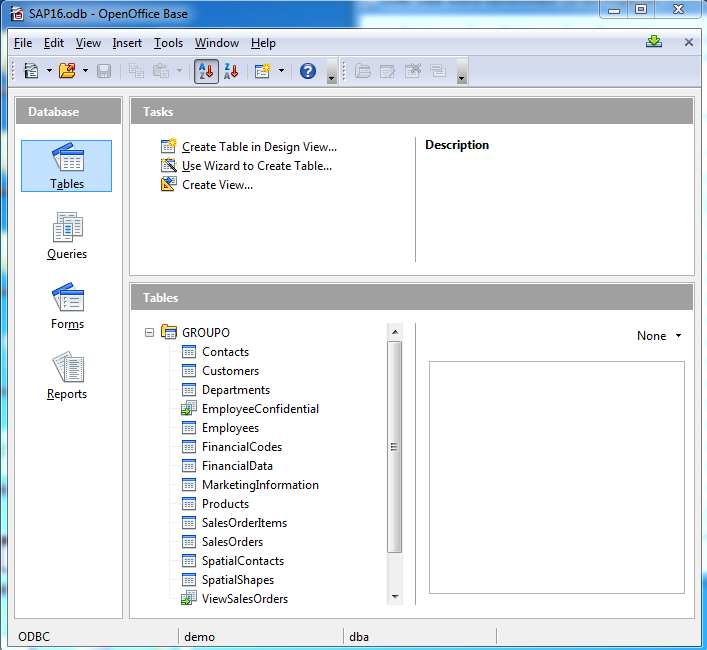 Now you see the Group O tables in the saved database.